Andrew McEvoy has more than 20 years of tourism, travel, events,media and marketing experience. 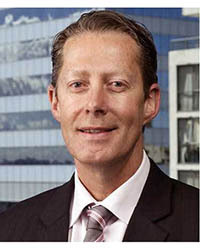 He was the Managing Director of Tourism Australia from 2010 to 2014 and co-authored Tourism 2020 – a plan to double the value of overnight tourism to and through Australia. He continues to be actively involved as Chairman of the Tourism and Transport Forum and a director of several listed and privately held travel, transport and tourism companies. These include the Sealink Travel Group, Ingenia Communities, the Lux Group (owner of Luxury Escapes) and Skybus. Andrew is also an investor in several technology start-ups including ticketing and inventory software company Roller Digital. He actively consults in areas such as aviation access, doing business in China, and long-term event development. Andrew will be addressing How does international tourism help the wine sector? on Monday in Session 2.